Today I’ll be providing an unbiased review and taking a look at all the intricacies of this signal provider and what they have to offer. In my research of up down signals I came across a Facebook page with a of updated weekly results. Sadly, the results stopped being updated in early September 2014. I don’t want to be skeptical but I’m really not sure why they would’ve stopped a weekly analysis unless they’ve stop providing signals or are no longer having success. The signal service has 3 different plans. The first plan costs $25 a week, the 2nd plan cost $66 a month and the 3rd plan cost $97 a month. There really isn’t much of a differentiation between any of the plans so they don’t tell you whether or not you are getting something extra for paying extra. Odd pricing model, what’s the difference? The up down signals being provided are sent to the trader 1 to 2 hours after the beginning of US trading day. I assume by this that they mean at the beginning of the US market opened they provide trades. They send me signals via SMS text message which is a nice touch. In the example they show us they provide four separate signals. Each signal has the exact same expiry time and it specifies what asset to trade and whether to choose a call or a put. Today I will not be recommending the up down signal service. It is not because I have any negative information about them I am just skeptical at this point in time because I haven’t really heard from any the binary today readers. I am concerned obviously why they stop providing results on their Facebook page and maybe someone here can inform you on why that is. If you have something you would like to add to this review please leave your comments, questions and concerns below the article. 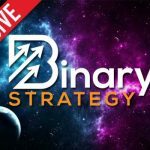 Thank you for coming to binary today and I hope that you look around the website and learn more about myself and the role I play in the binary options community. each day on certain hour (as stated in their web site), with an expiry time after 3 hours. Unfortunately, I could not meet this expiry time on my broker’s platform, so I placed trades to expire either at shorter or longer expiry times. The overall result from trading these signals was negative. I see you use MetaTrader4 but I cannot hook on to a valid server with this software. So I’m not getting any response. What server do you recomend using for MT4? Use the default server MT4 comes with. You shouldn’t have to change anything on the server page just hit next.